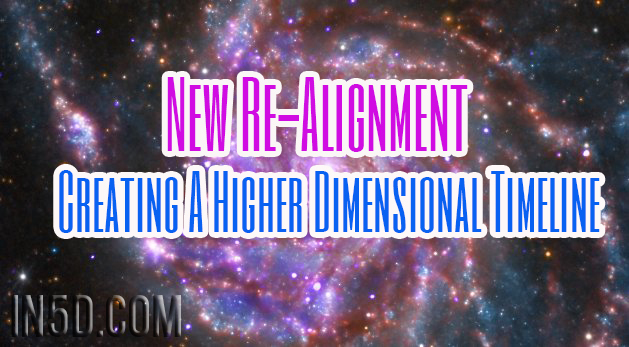 NEW RE-ALIGNMENT – CREATING A HIGHER DIMENSIONAL TIMELINE – NEW UNIVERSAL TRUE LOVE HAS COME THROUGH! New energies started to come through on Friday 20th May at around midday, AEST. And I was given the ‘tap’ on the shoulder to go away for a couple of days again. It feels such a long time since then, it is now Sunday morning and the message was: ‘We have done a ‘full circle’. There is so much to this! It ‘slammed’ pretty hard in the physical and yet started out very subtle. Other posts have written of diamond code/light body upgrades and solar storms/DNA activations, the likes of not being felt for a while or like this as in this intense in such a short amount of time to previous upgrades. A ‘stepping it up’ feeling, a new re-alignment. A whole new shift, creating a new and higher dimensional timeline. As we are creating this with new Golden bricks on our new path, brick by brick. (Previous BB posts are a lead up to this that explains this further). This is ‘placing’ this information in the human (Soul) linking to our Spirit of the Divine and all else in the astrals and multi-dimensions as this is just so much bigger than just us, this is part of our Universal Dimensional shift we recently entered into on the 27th April. The next ‘step-up’ of a higher vibrational frequency as we create a new higher dimensional timeline. A higher form of a collective or ‘group’ love has come through with this. An expansion of a new love of those closer to us a new bonding of a new Pure Divine Love that has extended out from ‘just us’. A New Universal ‘True Essence’ of Love..on a Universal ‘level’ – the ‘True Essence Love’ can only be (fully) felt when one links ones Spirit to our Soul through our emotions. This is BEYOND unconditional love in the human. It excels unconditional love. There is ‘another side’ to this as well, to do with much that has/is happening on the astrals/multi-dimensions. For those whose ‘roles’ are to assist in dealing with ‘other’ energies in other realms. I need to share this here as a balance with what I have shared above. I may seem I am being ‘cryptic’ here as I am…as this is not for all to ‘know’ of, as so many go into fear with having knowledge of the ‘bigger’ picture if they are not ‘ready’ for it. I will share this though, any doubt or fear during this time as these energies are still ongoing, has been an ‘opening’ for ‘other’ energies to ‘play havoc’ with those of the light. This can cause confusion amongst other things. Keep your prayers and protection ‘up’…keep up the positive enforcement felt deeply within, continuing verbally/to yourself. As a beautiful soul wrote: ‘Yes I know exactly what you mean, Team Dark, which will never win, I’m throwing that in for the fearful, do try to ‘bring down’ lightworkers, sometimes by utilising the fear of others, who project their ‘stuff’ onto the lightworker, sometimes so out of the blue, randomly and left of field, sometimes by penetrating dream states to initiate ‘scary’ dreams. I have had these regarding being in peril in different ways, or ‘battling’ etc. This is not new and happens to many of us, even if we are totally oblivious to it, so don’t worry, I experience this and it can be seen as a gift to release our own fears around certain things, as it is often an original wounding that is the subject of dreams, attacks, projections etc, and many lightworkers I am aware of have had lifetimes of this persistent harassment and are stronger than ever. We are strong and we will prevail, for in truth, Love has Won, we are just catching up in the illusion of timelines. I am with you’. I am currently writing up what I have/am going through personally with this and will be guided if I am to share. I just wanted to share this brief update as many are feeling these energies very deeply. That yes, something very major is going on. Something wonderful and amazing is occurring and those at the ‘forefront’ of these energies, will know what I am ‘talking about’. So for now, know that this is going back to childhood and reaching areas we may have felt we have ‘covered’ before as this is ushering in a very new Peace and Freedom of completing a ‘full circle’. I will share more soon as guided BY the Divine. As remember ‘things are not as they were’ energetically since the 27th of April with our Universal Dimension energy expansion and for those ‘seekers of our souls’ – there is a timeline of this in previous Blue Beyond (BB) posts. As always I am right here ‘with you’.